I love to have avocado's in my salads, in smoothies, and to have in other dishes we prepare. What we don't like is only using half a avocado trying to store it and coming back to find out it is brown and no longer good to eat. 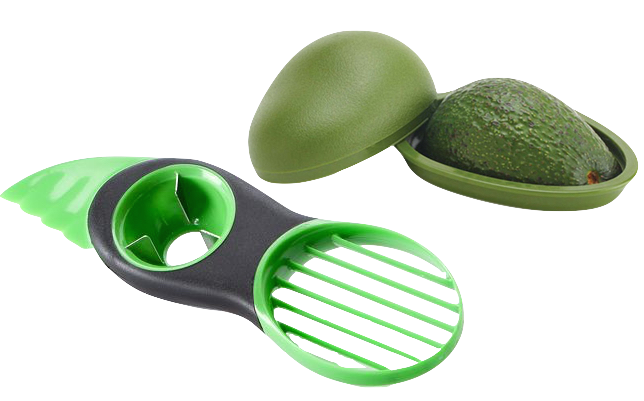 With the 3-in-1 Avocado Slicer with storage unit I am able to cute avocado, remove pit, then slice what I need and store the other half with no problems. 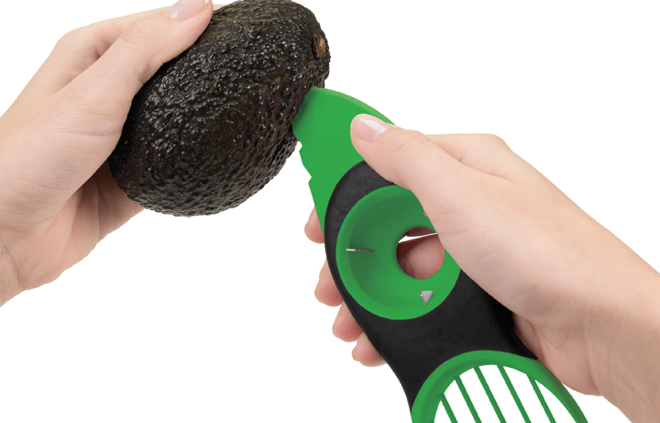 This is our new favorite kitchen utensil. I have had slicers before but not one that took the pit out, my girls can even use this with no problems with the everything but the pit remover being plastic. Now we can enjoy the whole avocado over a few days with no brown yucky mess. I save money and get to give my family nutritious food safely. 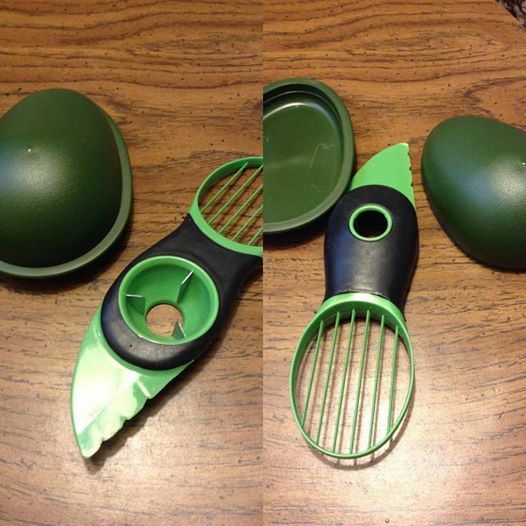 The 3-in-1 Avocado Slicer can be found on Amazon. What Toma has to say about their product. 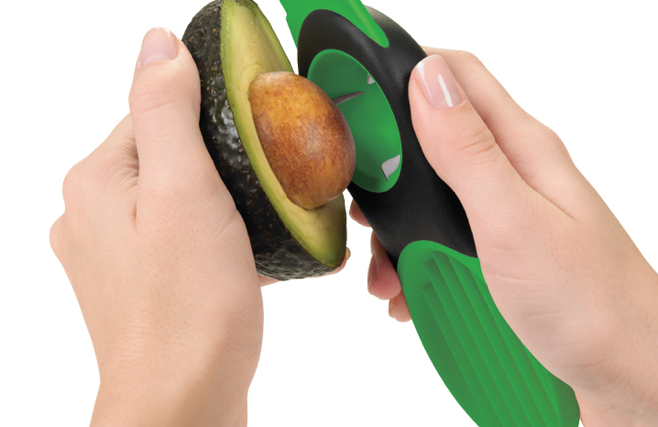 This special deal features our 3-in-1 Avocado Slicer and handy Avocado Saver for all of the avocado lovers out there! Thanks to it's non slip grip and sturdy design it's comfortable and easy to use, safe enough for kids, and dishwasher safe. It's perfect for snacks, salads, guacamole, avocado toast and more! AVOCADO SAVER - Reduces an open avocado's exposure to air, slowing the oxidization process (no more brown avocados). Enjoy a lifetime of tasty, healthy avocado dishes which can be prepared in minutes! Disclosure: MarksvilleandMe received one or more of the products mentioned above as part of a promotion with Tomoson and Toma. Regardless, MarksvilleandMe only recommends products or services we use personally and believe will be good for our readers. Some of the links in the article may be “affiliate links.” This means if you click on the link and purchase the item, I will receive compensation. If you would like MarksvilleandMe to review a product or service please contact us at marksvilleandme@gmail.com.